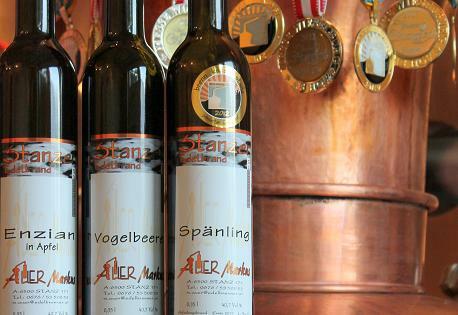 The small village of Stanz, Austria has less than 700 inhabitants, yet there are 54 schnaps distilleries. Do the math. This village, about 50 miles west of Innsbruck in the Tirol region, has become the de facto place for schnaps. There is a close community here, frankly there has to be. Almost every fourth house it seems has a distilling sign out front. And it is here that fruit, vegetables, and even roots of flowers are transformed into clear liquid – more appropriately a digestive, an after dinner liquor to aid your meal. Schnaps were never meant to be a cheap buzz, a frat house dare or an accessory to coffee. Schnaps is whole fermented fruit, typically pears, apples, cherries and plums, sometimes blended and sometimes stand alone, and if you’re assuming this is similar to the schnaps you’ll find in a corner liquor store you’re mistaken. Schnaps are meant to aid digestion; therefore you’re given a small amount, less than two ounces, usually after dinner, though it’s not uncommon to see people drinking schnaps anywhere and anytime. Ages ago the distillate was used mainly for medicinal purposes including as a compress for wounded animals. Somewhere along the line people started drinking it. These days schnaps are gaining a new momentum, a resurgence of this unique spirit, winning awards and demanding prices that in some cases exceed $50 for a bottle of 350 ML and are rarely exported except to the neighboring European countries. Most of the distilleries in Stanz are small operations which means that you can only get your hands on these schnaps here. 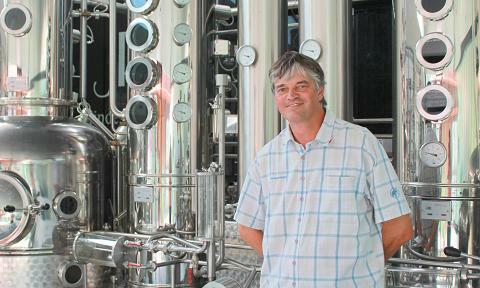 Rudolf Juen is a perfect example of the traditional distiller. He makes just 120 liters a year with only six different fruits. His single copper still in a single small room is all he needs. In the Tirol, schnapps are required by law to be made from the distillers’ own fruit, meaning you cannot purchase fruit from elsewhere. There are exceptions of course, but the point of the law was to insure that Stanz is celebrated and that the fruit is local. But taxes are another burden for schnaps distillers, as high as 5 Euro ($7 U.S.) per bottle, and that can put a damper on sales, which is partly why exports are minuscule. 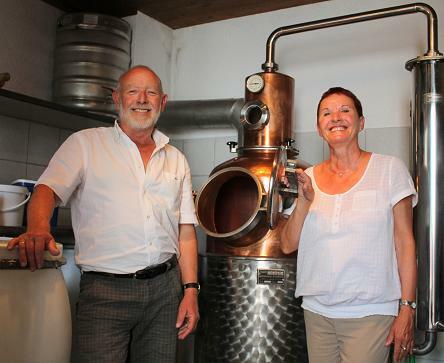 Most of the hand crafted schnaps are sold directly from the distillers’ home, though you will see some sales in restaurants. 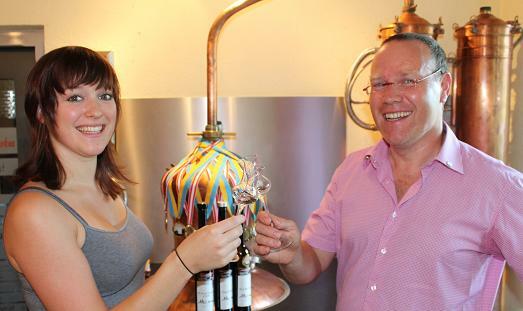 Markus Auer makes 14 iterations of schnaps and he is a third generation distiller and his children, like Julia at 20 years old, are already involved in the family business. 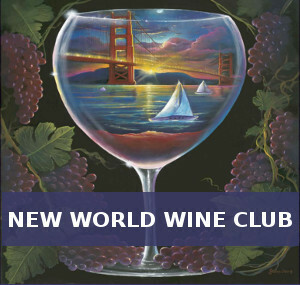 “The challenge is to make perfect fruit in the glass,” Markus says. Unique to the region is his Enzian schnaps which is made from the root of a flower found only at 1,800 meters up in the Alps, and is blended with apples and pears. Given the limited nature of the distilleries here, there is a true sense of community, a convivial approach to the process. “We have to do this together,” says Julia. And then there is Christoph Kossler of Feindistillerie Kossler who has racked up so many awards for his schnaps that his wall can no longer hold them. Kossler, arguably the largest and best known producer in Stanz, produces 40 versions including carrot, and plum which the area is known for. He’s also currently aging a single malt whisky which when released will be 10 years in barrel. Friday afternoons are when the bulk of house distilleries are open to the public. The Friday I visited a couple from Denmark and a couple from Belgium were happily ensconced at Rudolf Juen’s home on a warm July day, laughing, smoking cigarettes and unaware of any troubles in life, sitting under the very trees used to make the schnaps they were consuming. A small fee may be charged to taste, depending on if you buy a bottle, or it may not as there is a loose aggregate of rules in this village. Tasters will amble from house to house, all the while enjoying the camaraderie of the schnaps producers. And that is part of the entire experience; there is no sense of time as schnaps are meant to be leisurely enjoyed, and with the surrounding Alps as a backdrop for a day of schnaps tasting, you will have a memorable time. Should you find yourself in the Tirol region of Austria, an afternoon in Stanz is a must, and you will discover a new appreciate for this old spirit. My last Schnaps ended up in a rubber plant somewhere along the banks of the Rhine. The German hosts were just too generous, and I could not cope ..... ! I am sure that the rubber plant is doing just fine!